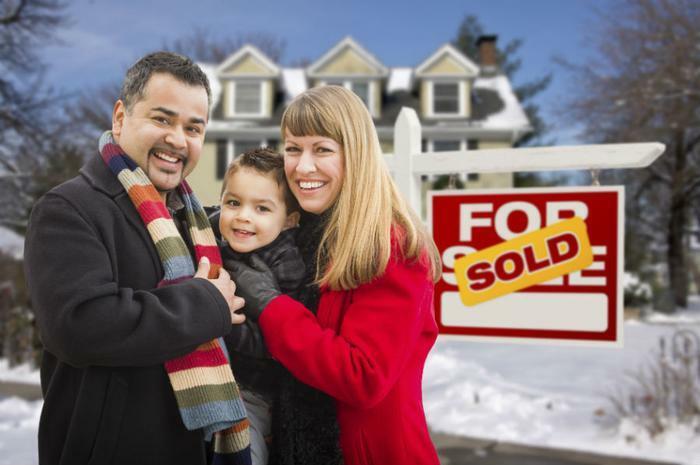 While it’s true that a large number of buyers plan their home purchases during the warmer months, there are a few advantages to selling your home during the colder months. Namely, motivated buyers and less competition. However, selling a home during fall or winter does come with a few drawbacks. Cold, gloomy days and dreary landscapes can make showing your home in its best possible light a little more challenging. But making your home look as cozy and inviting as possible can make it easy for buyers to envision their families celebrating the holidays in your home next year. Here are a few tips for making your home look bright and cheery when the weather outside is anything but. The right interior lighting can make your home feel warm and welcoming. Retract blinds and widen curtains to allow daylight to flow in. Experiment with lightbulbs to find the most flattering light for each room. According to the home experts at HGTV.com, a bathroom looks great with daylight bulbs (5,000-6,500K) and living spaces, such as bedrooms and living rooms, look best with soft white bulbs (2,700K). Decluttering is an important piece of home staging advice to put into action year-round, but it’s especially important to keep your home clean and clutter-free during colder months -- a time when homes can easily get bogged down by winter gear and seasonal decor. Keep your family’s winter gear hidden in a closet or trunk, clean your entryway mats to remove any dust and dirt that may have been tracked in, and keep toys tucked away. Keeping clutter at bay can help make your home feel larger. Seasonal touches should be kept simple and neutral. Skip the ceramic pumpkins and opt for modest, neutral fall accessories instead. Simple, white string lights, green wreaths, and a decorated tree can make your home feel cozy during the holidays. Stay on top of leaves and pine needles by raking every few days, and make sure your sidewalks and driveway are cleared of snow, branches, and dirt. Enhance the look of your garden beds by adding fresh mulch. The experts at Houzz.com recommend using structural elements -- such as large urns and planters, benches, and other garden structures -- to add interest to your outdoor space so buyers can imagine its potential. Consider lighting a small fire in your woodstove and making sure your house is warm when prospective buyers come through. Finally, give each room a cozy touch, such as a plush throw over an armchair, a quilt folded at the foot of the bed, textured window treatments, or an area rug in a warm hue.